Psychologist Dr Natalie Flynn sorts through all the research on key baby topics such as feeding, sleeping and crying, to deliver the facts rather than the bombardment of opinions all new mothers face. She answers all the dilemmas that parents are wrestling with: What if I can't b... read full description below. 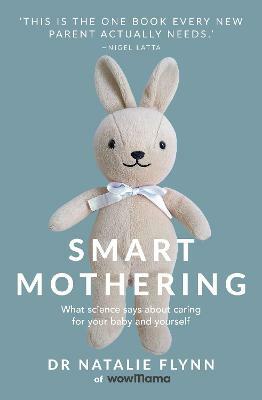 Psychologist Dr Natalie Flynn sorts through all the research on key baby topics such as feeding, sleeping and crying, to deliver the facts rather than the bombardment of opinions all new mothers face. She answers all the dilemmas that parents are wrestling with: What if I can't breastfeed? Is it best to feed on demand? Can I leave my baby to cry? Should I vaccinate my baby? Is co-sleeping a good idea? Plus many, many more questions. This is revolutionary - most books take one position or another and advocate for one parenting style or another. Natalie is not biased, rather she has looked into all the research available on each topic and presents the facts in an easily accessible format, using boxes, tips, summaries and diagrams. In addition she supplies good solid background information for those who want more detail. Natalie is a registered clinical psychologist and a mother of three. She currently works in private practice, specialising in maternal psychology.